FOLIC ACID AND VITAMIN B12 LEVELS IN BULGARIAN PATIENTS WITH BURNING MOUTH SYNDROME. Assya Krasteva 1 , Angelina Kisselova1, Vessela Dineva1, Aneta Ivanova2, Zahariy Krastev2. Actually the burning mouth syndrome (BMS) can be classified as idiopathic and secondary. The deficiency of vitamins (especially the group B) can be involved in BMS. In a group of 92 consecutive Bulgarian patients without oral lesions, excessive gingivitis and parodontitis or abscess, 63 patients had lower level of folic acid in serum (68%). The serum levels of vitamin B12 were lower in 17,5% and microbes were found in 10%. The study revealed that the most frequent abnormality in Bulgarian BMS patients was the folate deficiency followed by the lower level of cobalamin and oral candidiasis. These high rates of deficiency suggest a long term folic acid supplementation. Krasteva A, Kisselova A, Dineva V, Ivanova A, Krastev Z. Folic acid and vitamin B12 levels in Bulgarian patients with burning mouth syndrome. J of IMAB. 2013 Jul-Dec;19(4):422-425. doi: 10.5272/jimab.2013194.422. 14 Vucicevic-Boras V, Topic B, Cekic-Arambasin A, Zadro R, Stavljenic-Rukavina A. 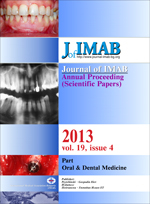 Lack of association between burning mouth syndrome and hematinic deficiencies. Eur J Med Res. 2001 Sep 28;6(9):409-412. [PubMed].